We advise a maximum of 4 people in any session and for adults and children to be apart if possible. Best results are normally obtained with one-on- one coaching. 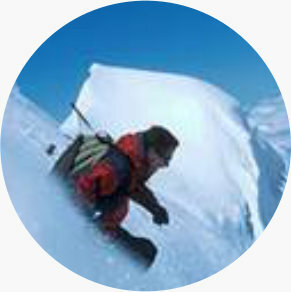 During on-piste coaching the student’s limits are constantly expanded as perceptions are challenged and altered. Counter-intuitive, conscious and mindful movements are encouraged to take the place of emotionally driven defensive instincts. Whereas standard teaching only reinforces destructive defensive instincts, Meta-Ski principles develop a completely new set of natural skills that work to protect and develop both the body and mind. Tignes glacier is open in summer and autumn for race training. Race training can be very cost effective when people club together and share the sessions. There is no better way to seriously boost your level than by skiing gates. The need to respond to challenging physical constraints provided by correctly set race courses allows new awareness to develop. The clock never lies so self-delusion stops here. Professional standards for ski instructors today require a certain racing level (100 FIS poins). We organise and run training camps and programs for individuals all year. Personal Development In Skiing A unique team of English speaking professionals based in Val d’Isère, providing the highest standard of teaching and guiding, while always placing your safety, success and satisfaction foremost. All Categories We work with a select number of proven and respected professionals who operate at our standards. 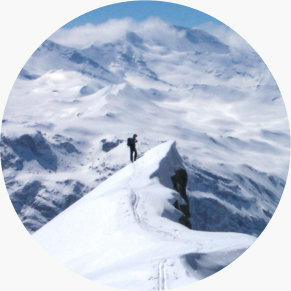 All are fully qualified, legal professionals and English/French bilingual with many years of experience throughout the Tarentaise region and beyond. Arrangements can be made for family and group bookings by contacting us by email or by telephone. Family or group bookings can be extremely cost effective and give you great flexibility. The instructor is paid for his/her time, so you can organise your group or family to suit everyone. Rates change throughout the season. People who return to our instructors do so because they are enjoying success and can see the way to continued rapid development. (We eliminate the endless cycle of “problem solving” and correction.) We are often fully booked well in advance with returning clients and their friends or families so please think to contact us well in advance of your holiday. Day rates are not lower than average but by virtue of exceptional results this is by far the most cost effective solution that you can find! 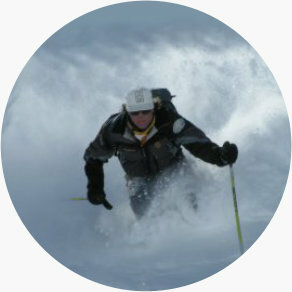 Mark Law (Telegraph Economics Journalist) took up skiing 10 years ago in his forties and soon hit the plateau. But then he met an inspirational teacher and his technique improved dramatically. 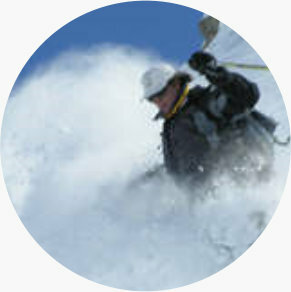 You are an intermediate skier with a modest ambition. Obviously you’d prefer to ski like a dream, but for now you’d settle for substantial improvement. Last season I achieved just that becoming more controlled and faster than I’d ever been. In addition, I could ski for longer with much less effort and I knew I was doing it better because my boots didn’t hurt any more. I can only claim a modest part in this transformation: the credit must go to an impassioned, maverick Scots ski instructor called Ian Beveridge. I first met Ian at the foot of the slopes at Val d’Isère, though his MetaSki leaflet had already caught my eye in the tourist office. He spoke about the teaching of skiing with the fervour of a revolutionary, which is, indeed, very much how he sees himself. HIS METHOD USES A DAZZLING MIX OF SCIENCE, PHILOSOPHY AND PERSONAL ODYSSEY “There is practically nothing that’s right in conventional teaching,” Ian proclaimed, seemingly oblivious of the fact that the bar was crowded with instructors ...(edited). Beveridge railed against what he described as the “teaching establishment”. 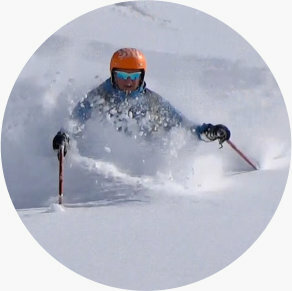 “Even instructors at top national level don’t understand basic ski mechanics,” he complained before going on to explain his new teaching method using a dazzling mix of science and personal odyssey. As it happens, I am a bit of a sucker for “revolutionary methods” because I came to skiing late and was shocked by the laziness of conventional teaching. To sign up with the ...(edited)... ski schools had proved a lottery and I always seemed to get the dud instructors. They were idle or uninterested, and their English was usually woeful. I had also tried independent companies and individual instructors; they were better but often quite wacky. One chap made me ski with my eyes shut and another one had me skiing with my boot clips open. I fell over a lot, which was fine, but my skiing didn’t seem to get much better.... Then I encountered Ian. At our meeting I realised he could certainly do the talk, but could he make me ski better? When we arranged to meet the following afternoon, he asked me to bring Snowblades. I’d never been on the things before, and I was reluctant. He reassured me that I’d have no trouble and it would speed up the learning. I was hooked from the start. The blades were a delight (I implore anyone who hasn’t tried them to have a go). Ian’s teaching made sense even though it contradicted much of what I’d been taught: do not face downhill constantly because it blocks the flow of movement - always follow the skis around to an appropriate degree; do not sink down to plant the pole to complete the turn and rise to turn around it - instead, rise to complete the turn, touching the pole in the snow between turns when upright for stability as you prepare to incline into the next turn; do not stand on the front of the foot or over the arch - work mainly from the heel and drive the ski forwards. Reducing his teaching to a few points in cold print does not do it justice, but it gives a sense of how it contradicts so much of the prevailing thinking. I spent the next day practising what I’d learnt, and then had three further hours of teaching, this time on short carving skis. Personal despair drove Ian Beveridge to devise his method. He had spent two years studying and training to get his French instructor’s qualifications. “I did my theory,” he says, “I knew it better than anyone else but I could not get the Capacité” - the notorious speed test which so many would-be instructors not born on the mountain fail. “I’d spent a lot of money and time, I had top race coaching, but I just couldn’t do it. Then one day, in despair, I rethought the problem and started thinking about ice-skating technique. On my next test I abandoned everything I’d been taught: I went down the hill like a rocket and passed the slalom.” Ian Beveridge is helping others to master the Capacité. He has had a success already with Phil Harrison, a 25 year old from Manchester, who now has professional status in France. “Ian is a remarkable teacher,” he says. “He teaches you how to use your body and harness natural movements to get fantastic results. So Harrison, who a short time ago as a two-week-a-year skier, is fully qualified and working in the most competitive environment. Not a bad testimonial, but that’s nothing compared to what Ian Beveridge did for me. All Categories We work in cooperation with a small number of respected independent instructors who are capable of operating at our standards. All instructors are fully qualified and legal.